Swansea City have frozen their season ticket prices for the 2016-17 season. Premier League clubs will receive record income from television rights from next year after Sky and BT Sport's £5.1bn deal was announced in February. Swansea previously reduced their season ticket prices for the current season and are subsidising the cost of their fans' away tickets during the campaign. In April, West Ham announced they will reduce 2016-17 season ticket prices, as they move in to the Olympic Stadium. 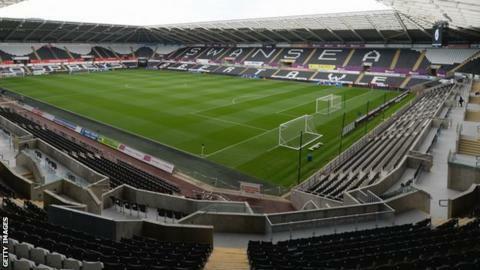 The cost of adult season tickets at Swansea's Liberty stadium for next season will start at £419. In addition to the Premier League's record deal for domestic television coverage, it is not yet known how much additional money top-flight clubs will receive from a new oversees television rights deal.